(Reuters) - Roger Federer has rejigged his coaching team for next year by parting company with Stefan Edberg and bringing Ivan Ljubicic on board, the 17-times grand slam champion said on Wednesday. 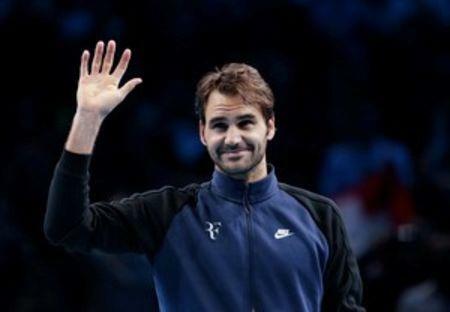 Former world number one Edberg had worked as part of a team led by Federer's long-term coach Severin Luthi since January 2014, a period in which the 34-year-old revived his career without adding to his tally of grand slam titles. "After two very successful years, I would like to thank Stefan Edberg, my childhood idol, for agreeing to join my team," Federer said in Facebook post. "Severin Luthi, who I have been working with since 2008, will continue to be my main coach and he will be joined by Ivan Ljubicic," Federer added. Croatian Ljubicic, who retired in 2012 after a long career which peaked when he reached number three in the world, coached Canadian Milos Raonic for two years until last month. Swede Edberg released a statement to the ATP thanking Federer for what he described as a "wonderful two years". "It became very clear from the start that this was going to be a special partnership, working with the greatest ambassador tennis has ever seen," the six-times grand slam champion said. "It was exciting for me to be back out on tour and to see that the sport has made so much progress. "After an amazing 2014, I decided to continue on for another year, but with a clear understanding that it would be my last year given the time commitment." "I believe Roger still has a lot left to give to the sport of tennis and is capable of winning the big events." Federer, who finished 2015 ranked third in the world after winning six titles, will start next season at the Brisbane International in early January.